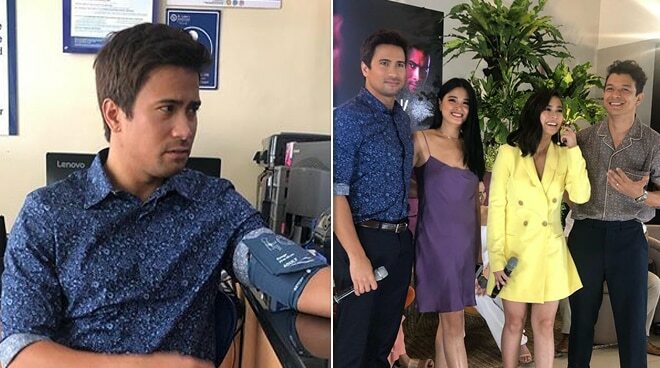 During the Halik finale presscon last April 11, Sam Milby's appearance was unexpectedly cut short when he started to feel discomfort right when he was introduced to the media. In an Instagram post by his Cornerstone Entertainment handler Caress Caballero, she shared their experience of going to the emergency room while the presscon was still ongoing. The handler also extended Sam's apologies to the media who attended the event. @samuelmilby was heartbroken when he had to immediately leave the presscon after friends from media welcomed him and the rest of the cast. He was rushed to the hospital (ER) after their first photo because of fever, dizziness, and stomach pain. Sam sincerely extends his apology (sic) to the production team, cast, and all members of the press / media who came."